Known as ‘the front page of the internet’, Reddit is a popular social platform where people from all walks of life gather online to discuss just about any and everything. 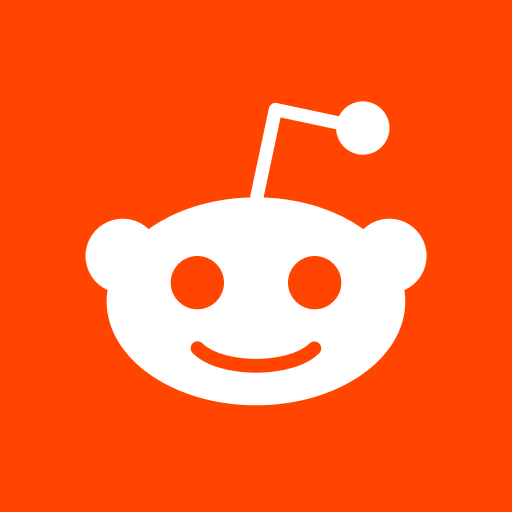 Boasting a user base of over 243 million people and with over 140,000 very active niche-based communities or ‘subreddits’, Reddit has commanded the attention of a lot of eyeballs, which makes it the third most visited website in the world. It also makes Reddit a popular spot to get advice, start conversations and to promote products and services. And that includes books written by self-published authors like you. Unfortunately, unlike other popular social platforms like Facebook, YouTube and Instagram, Reddit abhors blatant advertising and promotion. With that said, if you take the time to follow the rules and put your potential readers needs before your desire to aggressively market your books, Reddit can be a very viable promotional channel. You can effectively introduce your brand and books to the world and start conversations that lead to sales. Here are some tips for how to market your book successfully on the reddit platform. The first and most important thing you should do to promote effectively on reddit is to read the community guidelines and rules about self-promotion carefully. After all, you if you end up getting banned you won’t be able to promote your book at all. The next step to developing your marketing strategy for Reddit is to define who you want to target and reach out to on the platform. Having a very clear image of who you want to connect with makes navigating the platform to find appropriate subreddits faster and easier. Equally as important, focusing on a target audience helps you to avoid wasting time and energy on communities, conversations and research that won’t pay significant returns. With your target audience in mind, the next step is searching for and joining subreddits that closely relate to your niche, and where you have the opportunity to add value. Depending on what your niche topic is you may only find one subreddit that makes sense for you to join. On the other hand, if you are in a broad niche you may find that there are several subreddits that could have good promotional potential. If your situation is the latter, it makes sense to prioritize the communities you do join based on how much promise each one holds. That way, you direct most of your efforts to the sources that can produce the most results. For any type of marketing you want to do on Reddit to be effective, you absolutely must take the time to establish your credibility firmly. Do this long before you start making recommendations that you want prospects to take seriously. If you make the mistake of landing on a Reddit community and try to promote and make sales in your first post, the community members and admins will smell a rat. And apart from having to worry about your account being terminated for not following the rules, nobody will think you are sincere and your promotional effort will fail. On the other hand, if you completely forget about yourself initially and simply focus on helping as many people as you can with your knowledge, you will quickly become known as a helpful and respected voice in the community. That leads to getting attention, which naturally leads to a gradually growing interest in you and your work. Reddit is all about discussion. It’s a real help and be helped type of community. That means that anything you can do to get conversations started is going to benefit you and make you look like the expert you are. One of the easiest ways to achieve this is by starting a question an answer discussion in a niche subreddit. Also known as an ‘Ask Me Anything’ (AMA) thread, these types of discussions allow you to showcase your knowledge in a certain field or on a particular topic while positioning yourself as a credible source of information. The right subreddit and topic can quickly move you from completely unknown to a well-respected and followed member of Reddit. Another important tip for promoting your books and brand on Reddit is to always be understated with your efforts. While that’s already included in Reddit’s rule book, there is an additional reasoning behind not being too aggressive with your marketing on the platform. Internet users are savvier than ever before in history and they can sense a sales pitch coming from a mile away. That’s why it’s so important to focus on a pull strategy in your marketing efforts, avoiding the ineffective prospect-repelling push strategy as much as possible. Just as it would be with any other type of content marketing, it’s very beneficial to learn how to write effective titles for your Reddit threads before you dive into promoting on the platform. Nothing is worse than creating valuable content to share and then not having anyone read it because the headline fell flat and did not entice members of your target audience to read and participate. Develop your skills in creating headlines that are so irresistible that they motivate your prospects to take a peek into one of your threads. Reddit isn’t a visual social media platform like YouTube or Instagram. It’s all about the words you use and the conversations you start with its members. Whatever you can do to start or join the conversation and really get involved is vital. Make it a goal to always provide the most valuable and interesting content you possibly can. If you focus on providing the best, most thorough and thoughtful answers and commentary to questions and discussions, you are guaranteed to get a lot of upvotes and become a beacon for advice, information and entertainment on the platform. Speaking of valuable content, another important point for content creation on Reddit is to focus on shareability. The better and more helpful your content is, the most likely it is to be shared on other social media channels and among prospects that don’t hang out on Reddit. When users find content that is super useful, they typically can’t resist sharing the good news. You can benefit from this viral effect by making sure that everything you create is done with shareability in mind. Last, but certainly not least, another success tip for promoting your book on Reddit is to always be consistent with your efforts. There’s no knowing at what point your promotional efforts on the platform will begin to pay off. However, there is a cumulative effect that grows with time as you build your credibility, create and share valuable content, get more upvotes and become a respected member of the community. At some point the tide will shift in your favor, so be sure to keep on keeping on. Reddit is a potential goldmine for exposing prospects to your books and brand. As a forum that naturally lends itself to making meaningful connections and helping people get answers to their questions, there is massive potential for getting a foot in the door with an audience without coming across as pushy or salesy. And that is the hallmark of effective promotion whether on Reddit or anywhere else.